UNIST places an increasing emphasis on community service to help its students experience the personal growth and reward inherent in helping others around the corner or around the world. 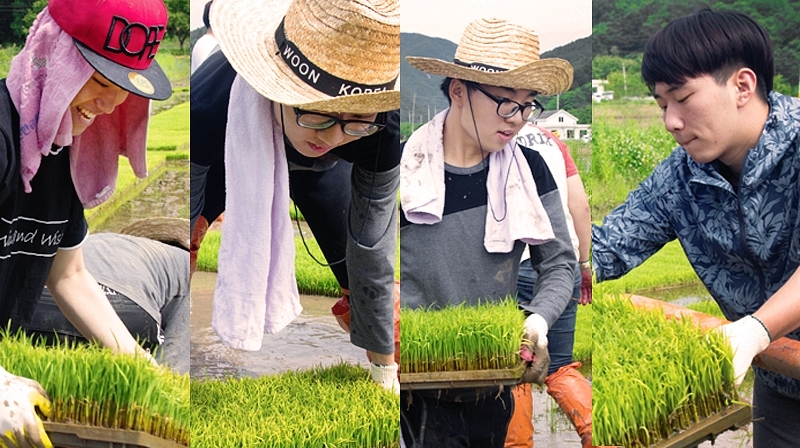 On May 23, a group of UNIST students volunteered their time on some local farms, located in Duseo-myeon and Samnam-myeon, Ulju-County to lend a helping hand to rural farmers during their busy season. 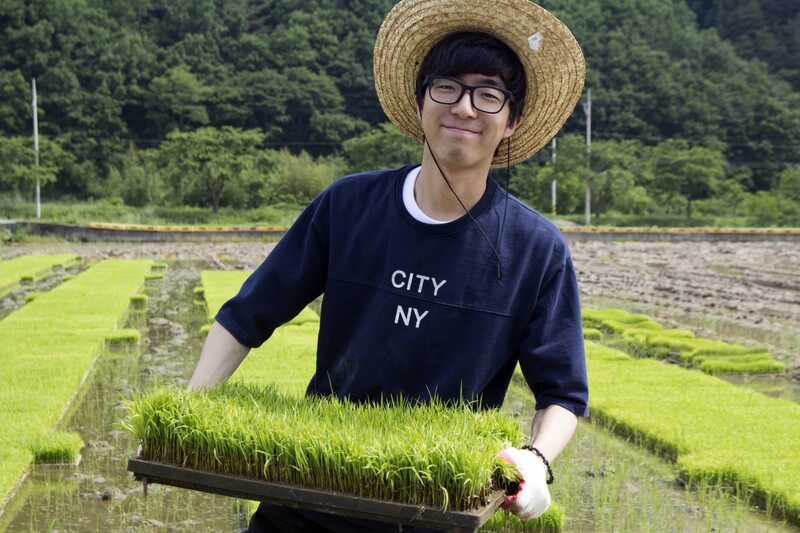 The UNIST Student Union has been organizing this rural community outreach project every year. The primary purpose of this project is to provide meaningful learning opportunities, as well as to help students appreciate the value of charitable giving that is voluntary, rather than obligatory. 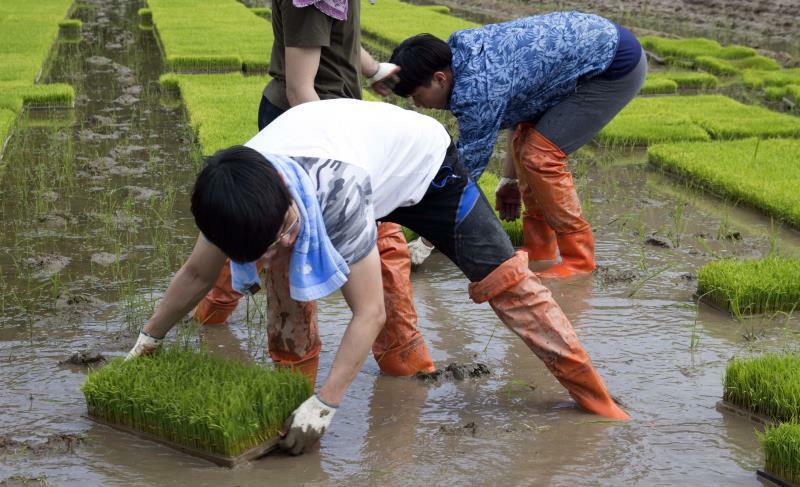 Volunteers are involved in all aspects of the production cycle, including: seed-starting, transplanting, cultivation, fruit thinning, and harvesting. 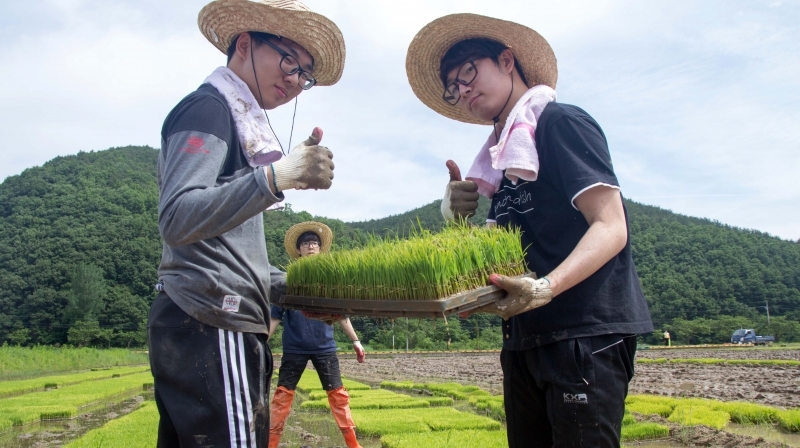 For this year’s project, student volunteers spent a day on the farm, carrying seedbeds of rice, thinning fruits on pear trees, and removing weed plants from a pear tree field. 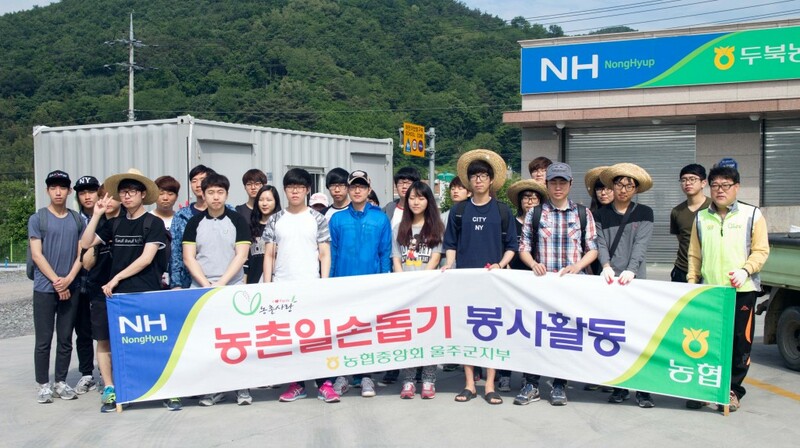 As the day arrived, approximately 50 UNIST students in 2 groups made their way to the local farms with big hearts and ready smiles. 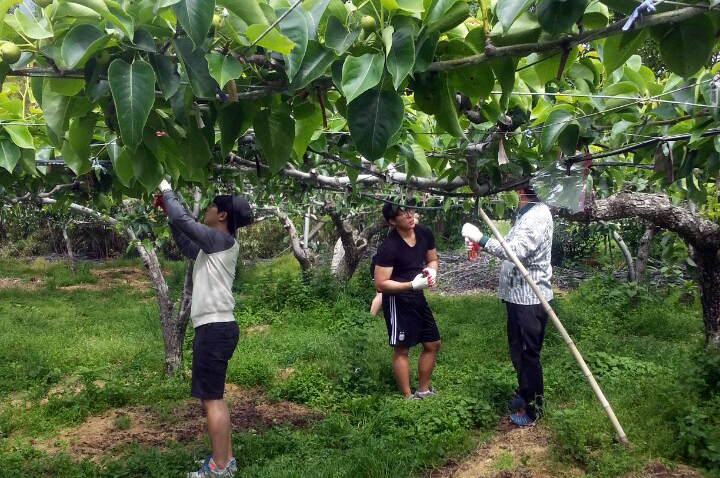 The annual rural community outreach project not only allows volunteers to learn more about our local food systems by meeting people who make it happen, but also help them develop the skills and confidence to become leaders in their communities.